EAST AURORA, N.Y.--(BUSINESS WIRE)-- Astronics Corporation (Nasdaq:ATRO), a leading provider of advanced technologies for the global aerospace, defense, and semiconductor industries, announced today that its wholly owned subsidiary Astronics Connectivity Systems and Certification (CSC) has shipped more than 10,000 cabin wireless access points (CWAPs) to enable inflight connectivity systems on aircraft. With this milestone, Astronics’ CWAPs serve as the most broadly accepted 802.11ac CWAPs in the market today. FCC, ISED, CE and Chinese MIIT regulatory approval. Astronics CSC provides current system configuration testing and creates performance enhancements in its Wi-Fi System Integrations Lab. 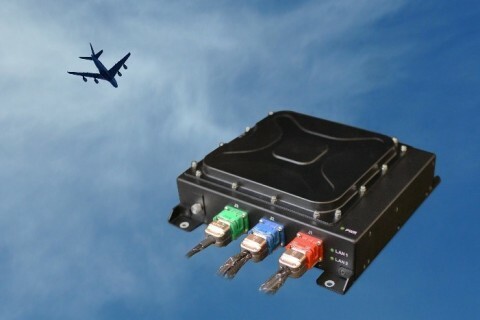 Customers can purchase the CabinACe-2 as a standalone component or as part of a complete Summit Line of inflight connectivity hardware from Astronics. Astronics CSC serves as the experienced, global market leader for in-flight entertainment and connectivity (IFEC) solutions for aircraft. The Company specializes in connectivity hardware, integration engineering, and certification services. Together with other Astronics subsidiaries, Astronics CSC offers the most complete set of IFEC hardware solutions available from a single vendor. Astronics Corporation (Nasdaq: ATRO) serves the world’s aerospace, defense and semiconductor industries with proven, innovative technology solutions. Astronics works side-by-side with customers, integrating its array of power, connectivity, lighting, structures, interiors, and test technologies to solve complex challenges. For 50 years, Astronics has delivered creative, customer-focused solutions with exceptional responsiveness. Today, global airframe manufacturers, airlines, military branches, completion centers and Fortune 500 companies rely on the collaborative spirit and innovation of Astronics.